The margarita is the most common tequila-based cocktail in the United States, made with tequila mixed with triple sec (an orange-flavored liqueur made from the dried peel of oranges from the Caribbean) and lime or lemon juice, often served with salt on the glass rim. The drink is usually served shaken with ice, on the rocks, blended with ice (frozen margarita) or without ice (straight up). All three methods are frequently served with salt or sugar on the rim of the glass which is optional. 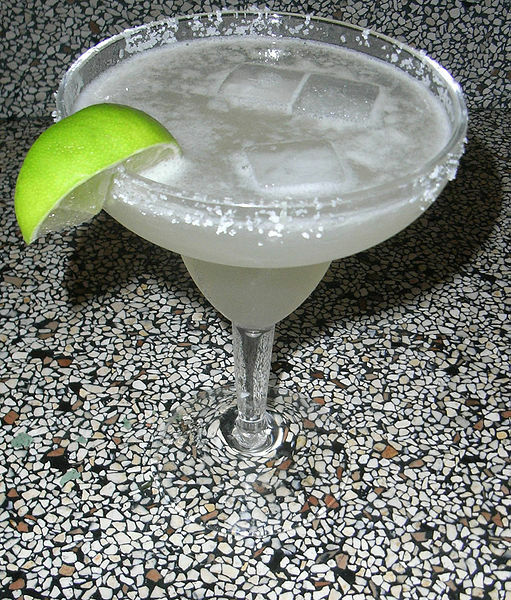 Margaritas often contain an additional sweetener, such as simple syrup or plain sugar, alternatively the Margarita can be made with bottled lime juice, with frozen limeade, or sour mix (each of which contains sugar). Margaritas can also be made with muddled or blended fruits like lime, lemon, cherries, raspberries, strawberries, watermelon, orange, mango or blueberries. Other than triple sec, other types of orange-flavored liqueur are sometimes used, such as Patrón Citrónge (produced in Mexico), Cointreau (produced in France), blue curaçao yielding the blue margarita. The "grand", "royal", or "Cadillac" margarita often contains Grand Marnier or Gran Gala and Jose Cuervo 1800. Such higher quality or "top shelf" margaritas will usually use a better grade of tequila as well. Often, when sweeter fruit juices or freshly puréed fruits are added to the margarita, the amount of orange-flavored liqueur is often reduced or it is eliminated entirely. In addition to orange-flavored liqueurs, secondary liqueurs may occasionally be added to the cocktail, including black raspberry-flavored Chambord. Fresh squeezed lime juice is the key ingredient. The most common lime in the U.S. is the thick skinned Persian lime. However, margaritas in Mexico are generally made with Mexican limes (Key limes). These are small, thin skinned limes and have a more tart and an often bitter flavor compared to Persian limes. Margaritas made with lemon have a softer taste, especially when Meyer lemons are used. Alternate fruits and juice mixtures can also be used in a margarita. 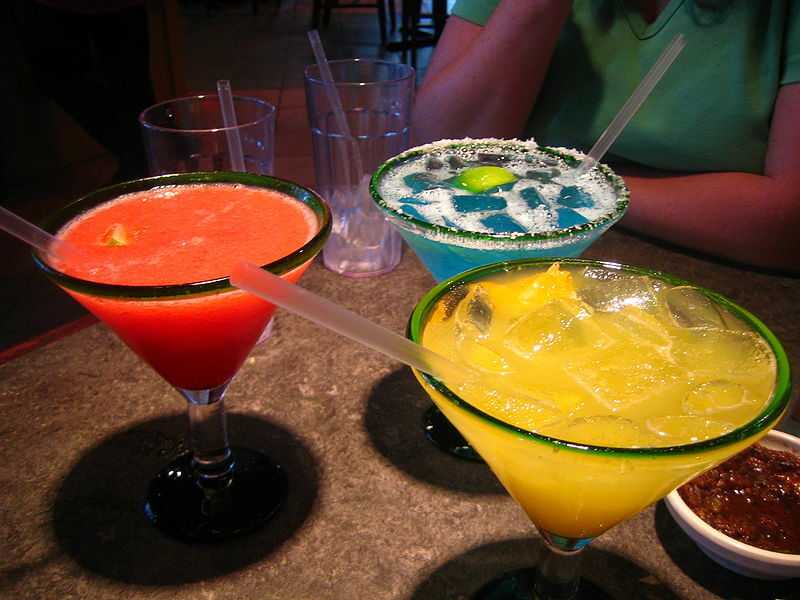 Left: Margaritas come in a variety of flavors and colors. Margaritas may be served in a variety of glasses, most notably the stereotypical margarita glass; this is particularly associated with blended fruit margaritas, and the glass is also used for dishes such as guacamole or shrimp cocktails. In formal settings margaritas are often served in a standard cocktail glass, while in informal settings, particularly with ice, margaritas may be served in an old-fashioned glass.